7) 20,000 Leagues Under the Sea -- This fascinating 10-minute attraction was based on Jules Verne’s novel. Guests boarded a submarine that took them on a ride through an 11.5-million-gallon manmade lagoon. It was the most expensive attraction Disney Imagineers had ever built—and also one of the largest. But the submarines and the lagoon would later cause the attraction’s demise. 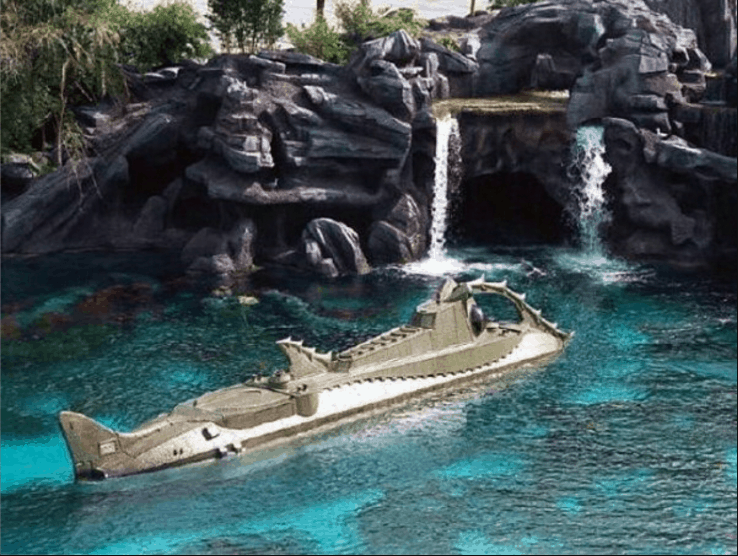 Many of the 12 submarines used in the attraction began to have problems with leakage, and the lagoon proved very expensive and time-consuming to maintain. It had to be drained several times each year so that it could be cleaned. That meant draining all of the 11.5 million gallons of water from the lagoon and then refilling it. In 1994, Disney said that the attraction was temporarily closed, but two years later it was announced that it would not reopen. Today Ariel’s Grotto stands in the same area where Captain Nemo, a fleet of submarines, some mermaids and a giant lagoon used to be.